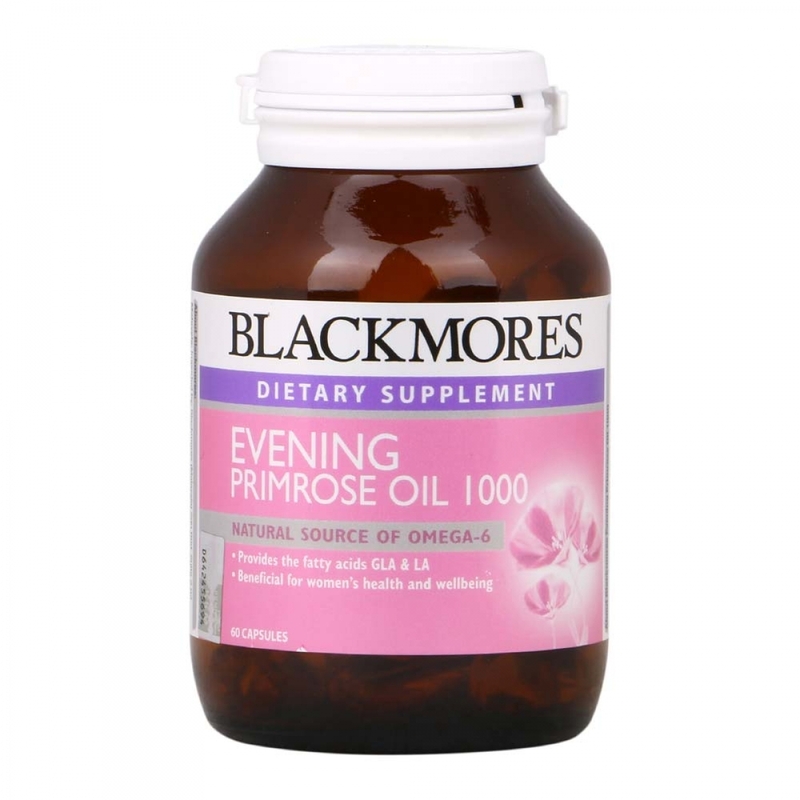 Blackmores Evening Primrose Oil 1000 is a rich, natural source of gamma-linolenic acid (GLA) and linoleic acid (LA). These important omega-6 fatty acids can only be produced in the body in small amounts and must largely be obtained from the diet. This supplement is beneficial for the health and wellbeing of women. Omega-6 fatty acids and substances made from them, are components of nerve cells, all cell membranes and hormone-like substances known as prostaglandins. Prostaglandins have multiple local hormone-like actions, which include regulation of tissue inflammation. Conditions that involve inflammation, such as eczema, may benefit from supplementation with omega-6 fatty acids. Low levels of GLA have been found in women with premenstrual syndrome (PMS). Essential fatty acid deficiency can lead to an excess of the female hormone prolactin which is responsible for many of the symptoms of PMS. Supplementing with EPO increases a prostaglandin known as PGE1, which may help in women's health and wellbeing.